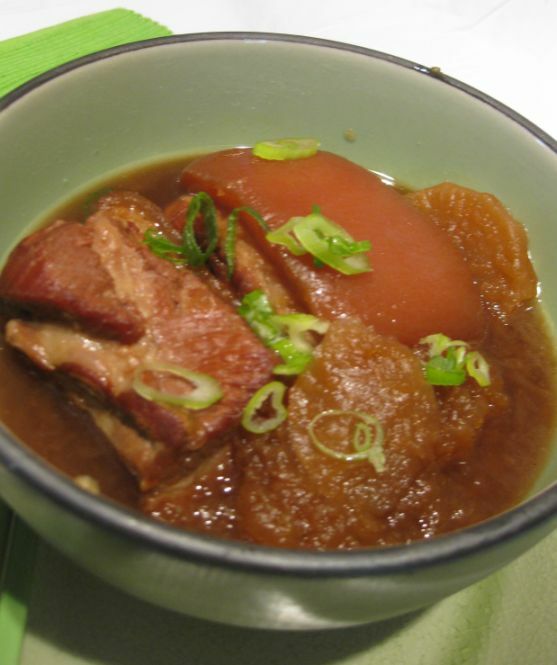 I rarely use daikon to cook but I actually like it pairing with the Buta No Kakumi dish. 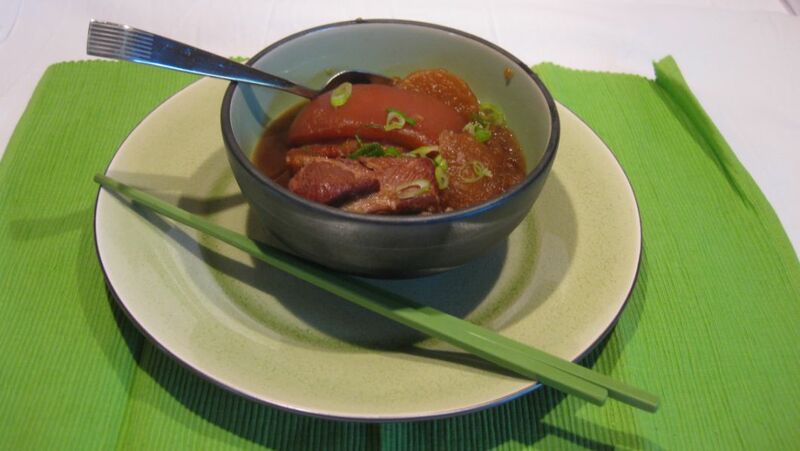 Daikon adds such a nice distinct flavor which complements the meat really well. 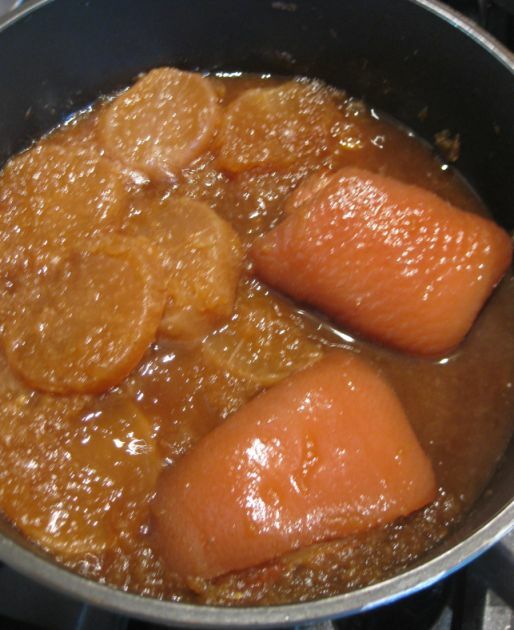 It also acts like a sponge which soaks up all the delicious sauce. 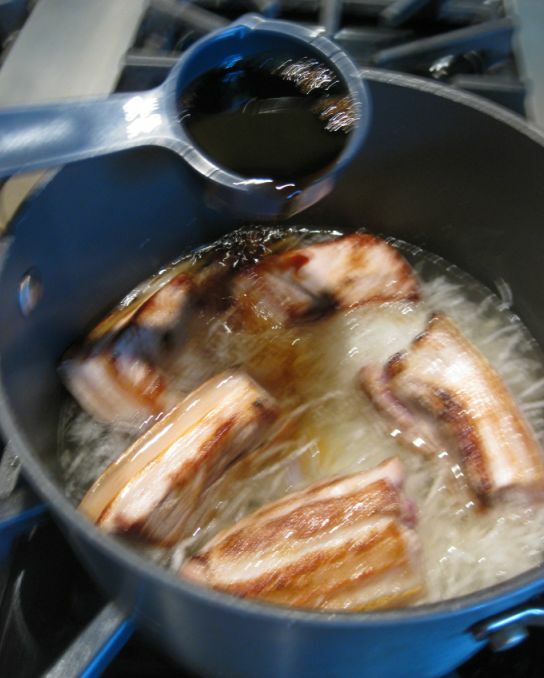 This dish is best made with pork belly, as the long hours of simmering render a lot of the fat out of the meat, which leaves you a very rich and flavorful sauce. 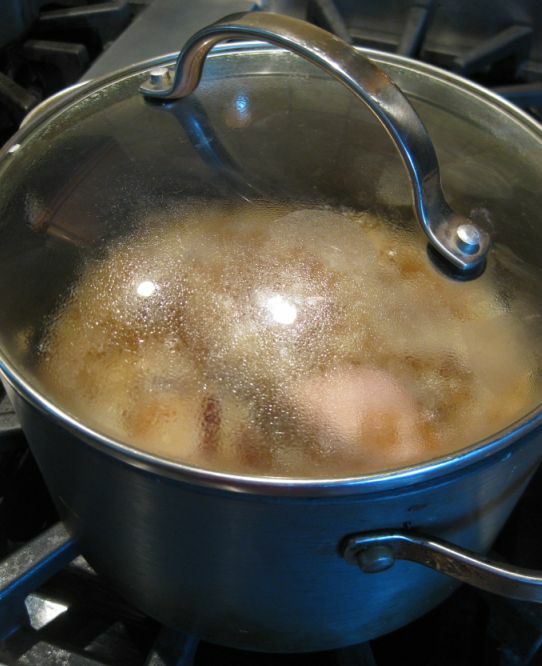 Lots of fat will be resting on top of the broth so you can scoop it out and make it a leaner dish. 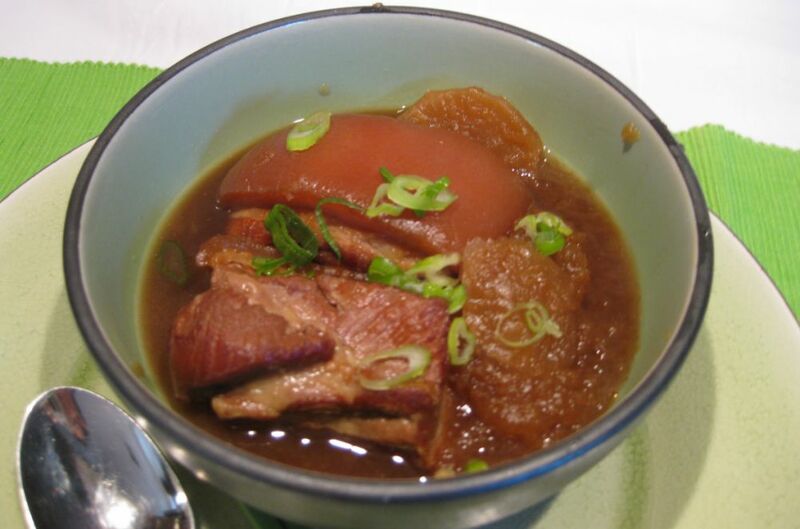 Buta No Kakumi is very similar to the Vietnamese Thit Kho but it is less salty and your does not reek of fish sauce when you cook it. Hoa and I we had dish at a Japanese restaurant and we both like it so I researched for recipe and found out that it is really easy to make. This dish is best served with rice or ramen. I probably prefer plain white rice! 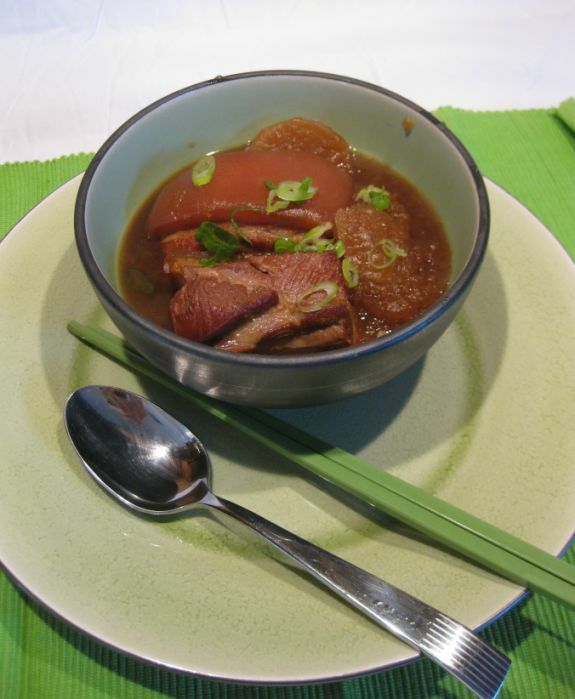 I really enjoy this dish so give it a try and maybe you will prefer it to the Vietnamese version. 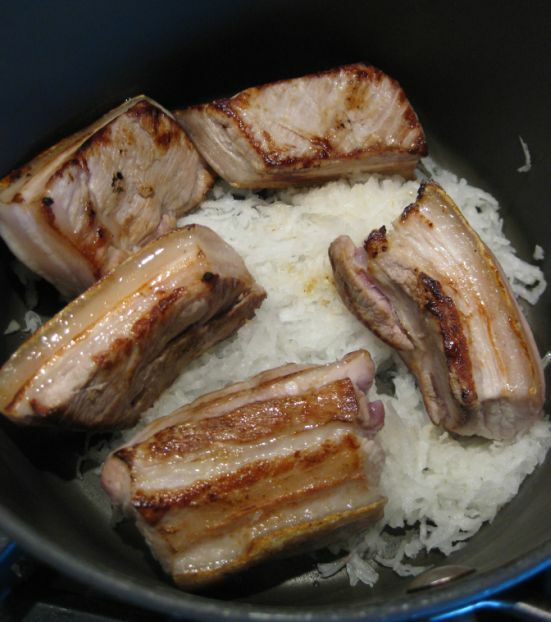 Cut the pork belly into large rectangular pieces. 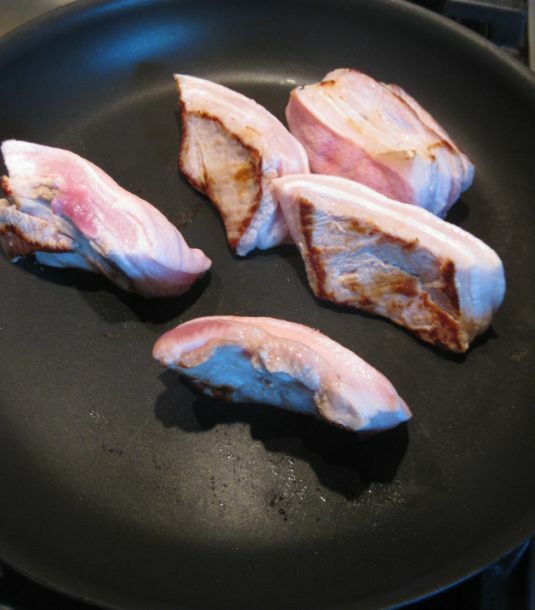 On a hot oil pan, sear the pork belly on both side until brown. 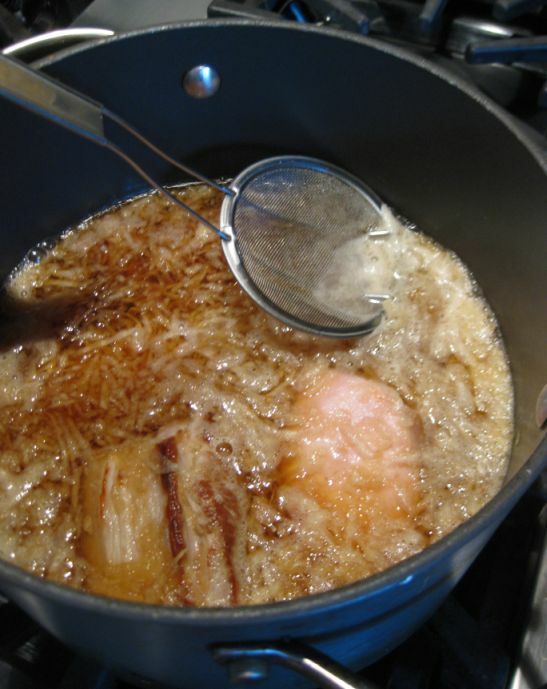 Put the seared pork belly and the grated daikon in a large pot. 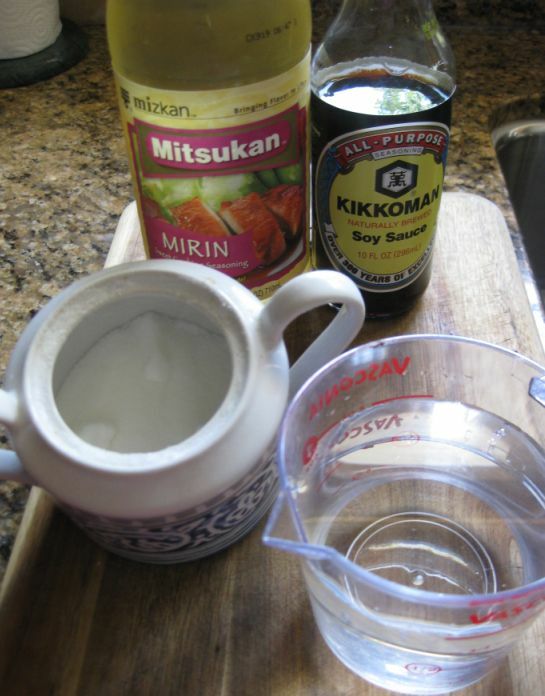 Here are the ingredients for this dish: Sugar, water, Mirin and soy sauce. 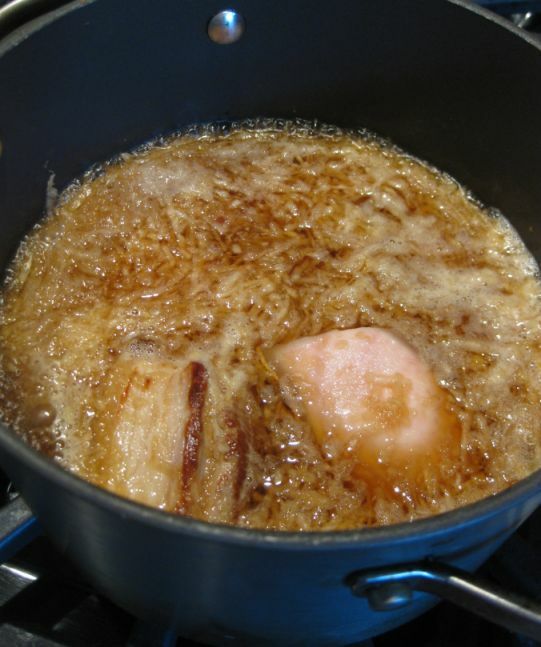 Pour the water, soy sauce, Mirin and water in the pot and bring it to a boil. .
Reduce the heat to low and scoop out all the scum on top surface of the pot. 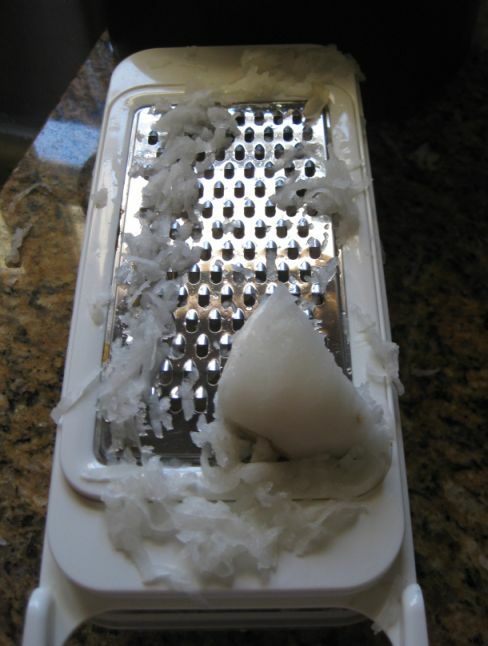 Optional: 30 minutes before turning off the heat cut a bunch of daikon about 1inch thick and throw it in the pot.